Highly talented, self-motivated, enthusiastic professional with more than twenty years experience in the food services industry. Consistently able to multi-task yet maintain composure in stressful situations. Take pride in providing excellent patron experiences through quality customer service. Participated in the opening of a new restaurant. Created a loyal local customer base and provided a memorable experience for visiting tourists. Entrusted with closing and opening the restaurant. Management duties included front of the house schedule, opening and closing the restaurant and addressing the concerns of customers and employees. Bartender duties included knowledge of large beer and wine menu, high volume of take out orders, service bar and attending to customers. 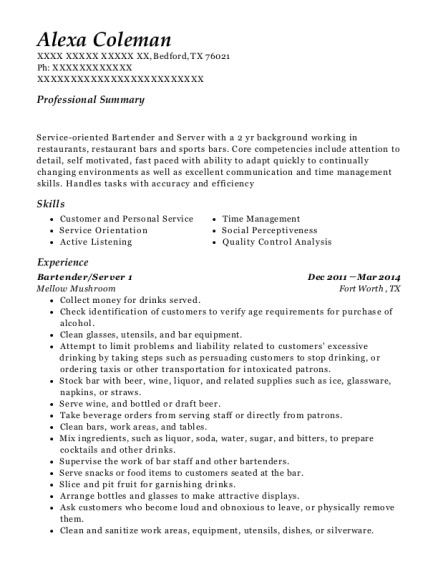 Bartender/Manager May 1999－Jul 2005 Brixx Wood Fired Pizza － Charlotte, NC Same responsibilities as listed for the Mount Pleasant location. 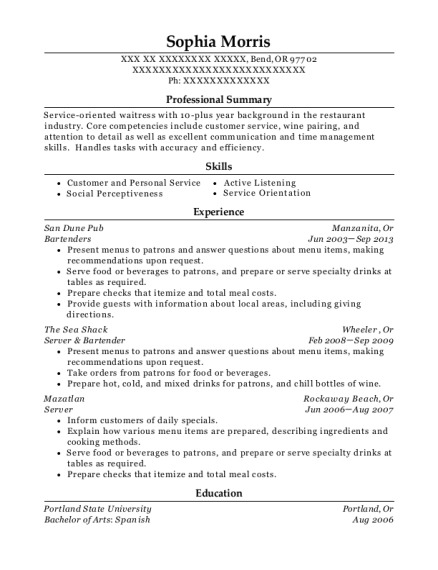 This is a resume for a Bartender in Odessa, Florida with experience working for such companies as Saltys Waterfront Grill and Mangrove Mamas. 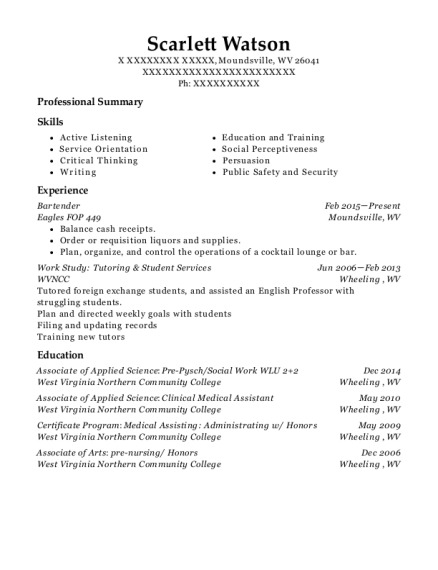 The grade for this resume is 0 and is one of hundreds of Bartender resumes available on our site for free. 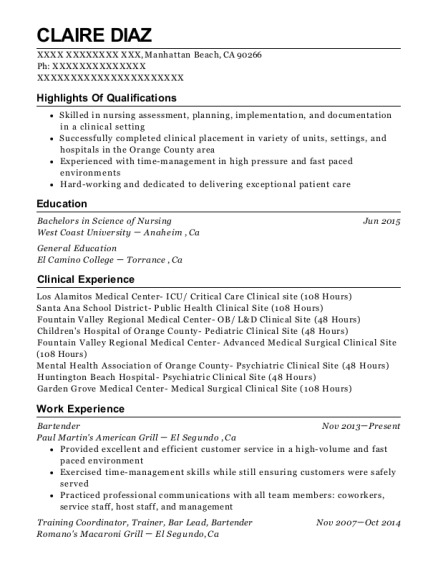 Use these resumes as templates to get help creating the best Bartender resume.